February is the season of love and romance, and with the cold nights of winter just outside your door, little is more romantic than a cozy night at home snuggled up in front of a fire. 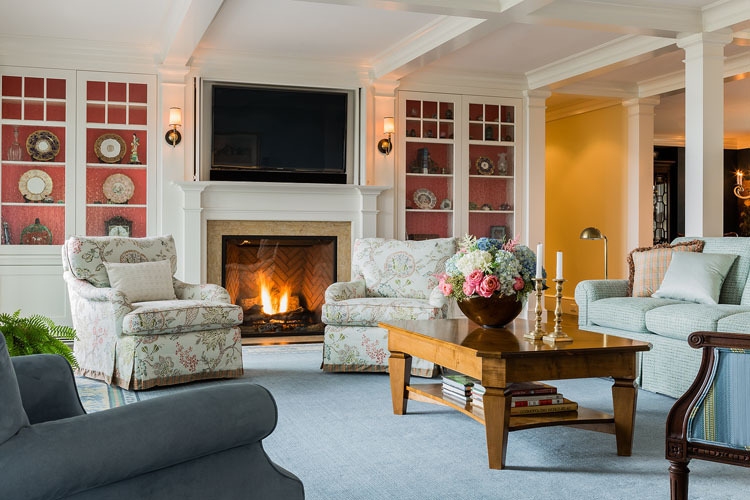 Often the focal point of a room, fireplaces can warm both your heart and your home — whether rustic, traditional or contemporary. You’ll find fireplaces in a variety of shapes and sizes, often surrounded by wonderful materials or enhanced with features that deliver function as well as style. 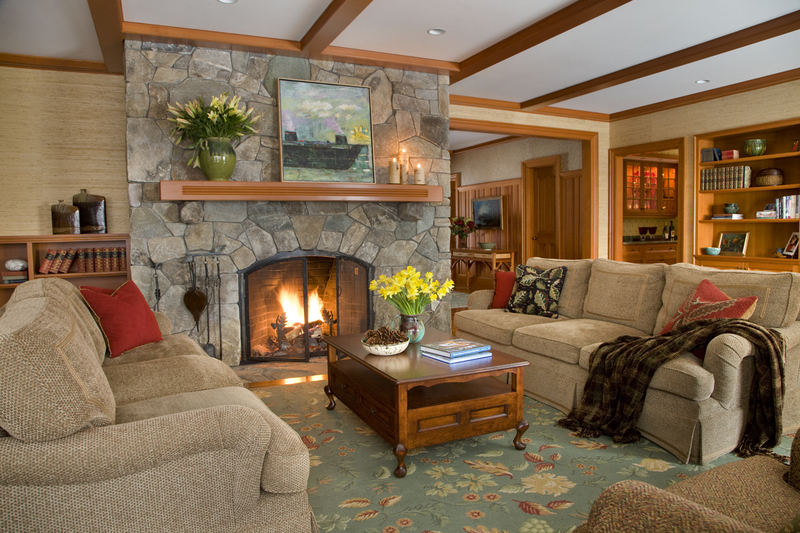 When designing a fireplace for a traditional New Hampshire vacation retreat or a Vermont ski home, I often favor local field stone extending the full height of the fireplace and chimney providing both rustic charm and a dramatic centerpiece. Adding a fireplace in dark hand-crafted cabinetry or a custom fir beam mantelshelf completes the casual look by reflecting the wooded New England setting in which the home is located. Rough stone can also be used as a fireplace surround in a contemporary home. Once again, it’s the cabinetry and mantel that create a fresh look and feel. A fireplace in a traditional living room is often surrounded by marble. To add color and depth, I’m fond of framing the fireplace with custom cabinetry stained in bold tones. 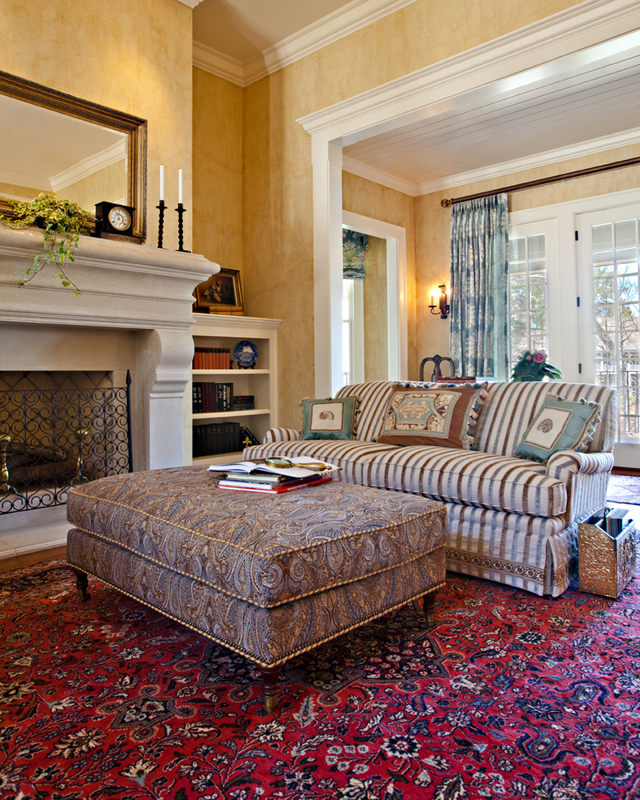 For a French-inspired look, a custom limestone fireplace surround with traditional detailing adds elegance to any room. Often, a fireplace provides a practical function in addition to adding style and romance to a room. To integrate a large television above or beside a mantel, custom cabinetry can be built to either display or hide the TV when not in use. 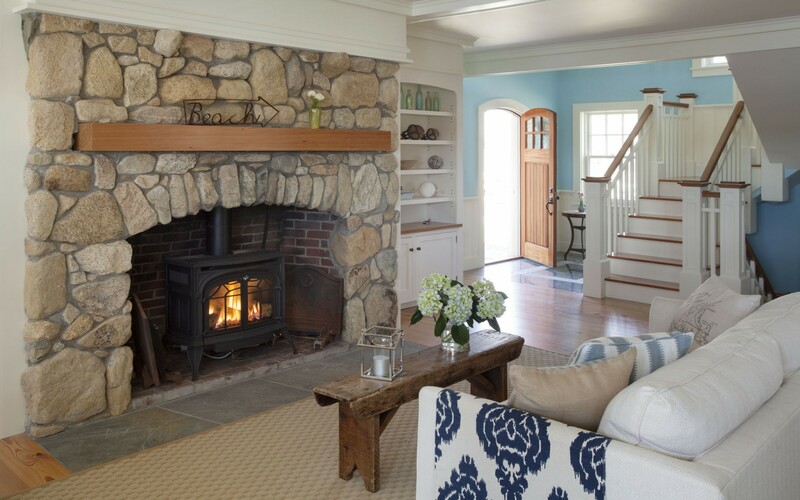 A wood or gas-burning stove surrounded by a fieldstone fireplace adds both warmth and convenience. In this season of romance, stay home with the best remedy for a cold winter night; enjoy the warmth only a fireplace can bring. 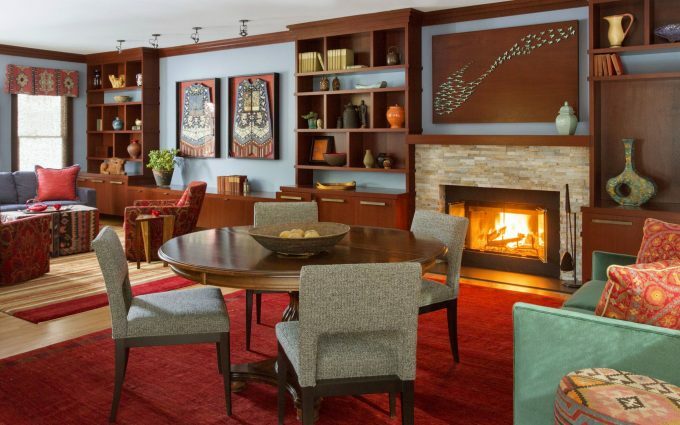 “There is no place more delightful as one’s own fireplace,” said Roman philosopher Cicero. We couldn’t agree more! For more information about creating a distinctive and inviting fireplace in your home, please be in touch.